…if the forecasters have it right. Not looking good at all. Sure hope it dies out or veers off its current course. ditto… I’ll be following that one as it’s heading right for Santiago de Cuba and Club Bucanero. they have been hit real hard in the past. I think it was Hurricane Dennis back in 05 / 06. It tottally crushed Club Bucanero. 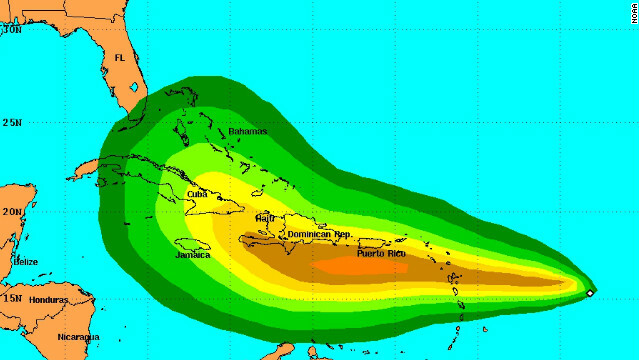 Not yet a hurricane, Tropical Storm Isaac has already delivered shock waves from the Caribbean to Florida. We hope all our friends will be okay and they won’t have to go through the heartbreaks we saw in Holguin and Cayo Largo a few years ago. doesn’t look like the eyes :o of the storm is going towards Santiago de Cuba / Club Bucanero.